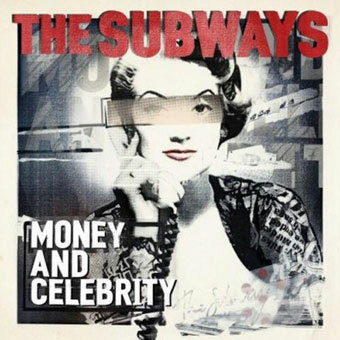 The Subways Biography, Discography, Music News on 100 XR - The Net's #1 Rock Station!!! 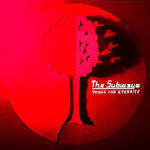 The Alternative-Rock trio The Subways hails from Welwyn Garden City, ENGLAND and consists of frontman singer+guitarist Billy Lunn, his girlfriend, bassist Mary-Charlotte Cooper and his brother, drummer Josh Morgan. The band signed a deal with City Pavement in late 2004 and steadily built up a following during the next few months, firstly with their incendiary live shows and with their debut single, "Oh Yeah", which hit the top 30 of the U.K. Official Pop chart in spring 2005; the follow-up single-track "Rock & Roll Queen" rose to #22. That summer was finally released the trio's debut full-length album: "Young For Eternity"; it climbed into the U.K. Top 40 and later peaked at #15 on the U.S. Top Heatseekers Albums chart while "Rock & Roll Queen" reached the #29 position on The Modern Rock Tracks. 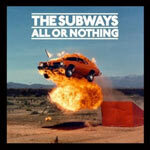 In June 2008 The Subways issued its long-awaited sophomore full-length disc, "All Or Nothing"; this album saw the band decamp to Los Angeles to work with legendary alt-Rock producer Butch Vig, who beefed up and smoothed out their sound. The CD kicks off with the chart-ineligible single "Girls And Boys" which was available as a free download; "All Or Nothing" debuted in the top 20 in the band's native U.K. however the first single proper, "Alright", failed to make the top 40. The exuberant "Shake! Shake!" was another single lifted from the album.